1. Cash-on-cash is tricky to figure, because you may not be paying all of your costs at the same time. I may pay for the down payment and closing costs at closing, but I won’t pay for the repairs until they are completed and I paid the earnest money well before closing. Because of this, it is hard to know when to start the cash on cash returns. Cash on cash is not an exact science, but a way to measure your returns on your investments. How do you determine the cash on cash return and why is it better than using ROI on rental properties? 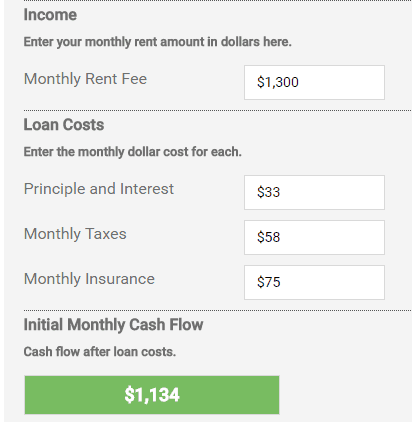 The way I calculate cash on cash return may not be the exact way an accountant would calculate it, but this technique is the best way for me to judge the returns on a rental property. 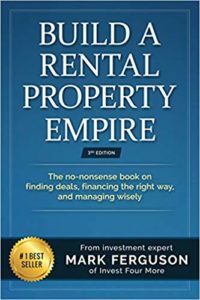 For more information on my rental properties, check out my complete guide to purchasing long-term rental properties. Why is it hard to calculate the ROI on rental properties? ROI stands for return on investment, which is usually a good way to judge investments. With ROI, you calculate all the money you made from your investment and divide it into the cash invested. If you make $50,000 on an investment that cost you $500,000 you have made a 10% ROI. With rental properties, you won’t know your true ROI until you sell your rental property. I want to keep my rental properties as long as I can to continue to build cash flow so I can retire in luxury. ROI includes your total investment versus your total returns and rental properties have a lot of awesome benefits. Rental properties have tax benefits thanks to depreciation, can be leveraged easily, provide cash flow, appreciation and you can refinance a rental property as well to take cash out. Here is a great tool I use to calculate my cash flow. It is pretty simple calculating the rental income (cash flow) versus the cash invested, but it is harder figuring all the other advantages. 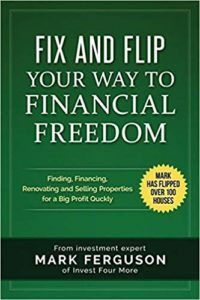 I recently calculated that my rental properties increased my net worth by $600,000. However, if I sold my rentals, I would have to pay selling costs and a lot of taxes. I would not gain that entire $600,000, and I would also have to divide what is left of the $600,000, along with my cash flow and tax benefits over the years I have owned my properties to see what my yearly ROI is. Right now, my estimation of the selling prices and costs are an educated guess and I have not realized any of that gain. How is the cash on cash return calculated on rental properties? The cash on cash return is calculated by determining the cash flow or rental income on a property and dividing it by the initial cash invested into that property. If you spend $25,000 on the down payments, closing costs and repairs on a rental property and get $5,000 in cash flow, your cash on cash return would be 20 percent. To make it really easy I created a cash on cash calculator here. Why is it difficult figuring the cash on cash return on rental properties? It seems pretty simple to figure the cash on cash return on rental properties, but there are some situations that make it difficult. The biggest problem is deciding when to start figuring the cash on cash return? If you buy a rental property that needs repairs, it may not be ready to rent for weeks or months. You will pay the down payment and closing costs when you buy the house, but you won’t pay the contractor until his work is done. You also won’t collect rent until the house is repaired and rented. I like to start calculating the cash on cash return once I have paid all expenses and the home is rented. What doesn’t the cash on cash return tell us about rental properties? The cash on cash return does not tell us everything about rental properties like the ROI will. The cash on cash return does not factor in any appreciation or tax benefits. The cash on cash also does not factor in the equity pay down on loans which can be a significant amount of money. I like to calculate my cash on cash return on my rental properties, and I consider the other benefits a bonus. If a new rental property provides at least 20% cash on cash return, I know I will make a lot of money on that property.